Cartoon character vector footage. Boy or young man with surprised expression and big exclamation marks above his head. 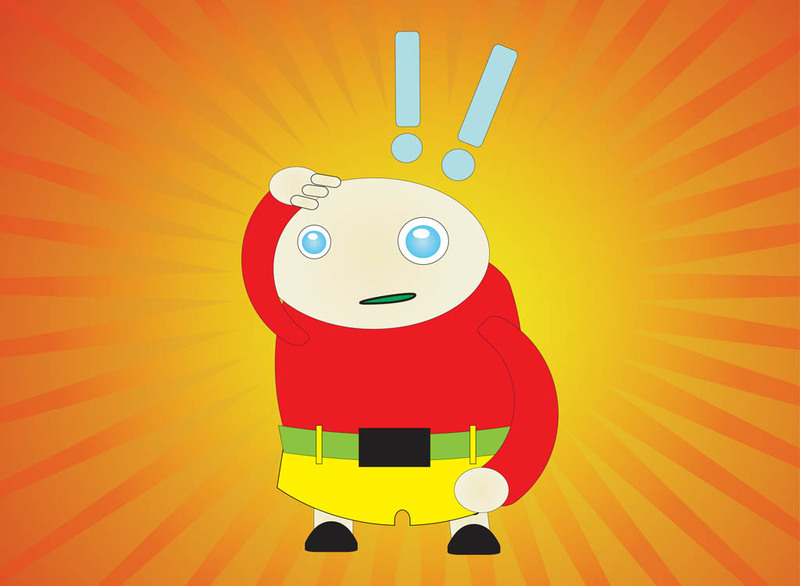 Character with bright colored clothes scratching his head. Free vector footage to create cartoon and game characters, brand mascots, advertising and posters visuals. Tags: Boy, Cartoon, Character, Child, Comic, Kid, Male, Man, Surprise.